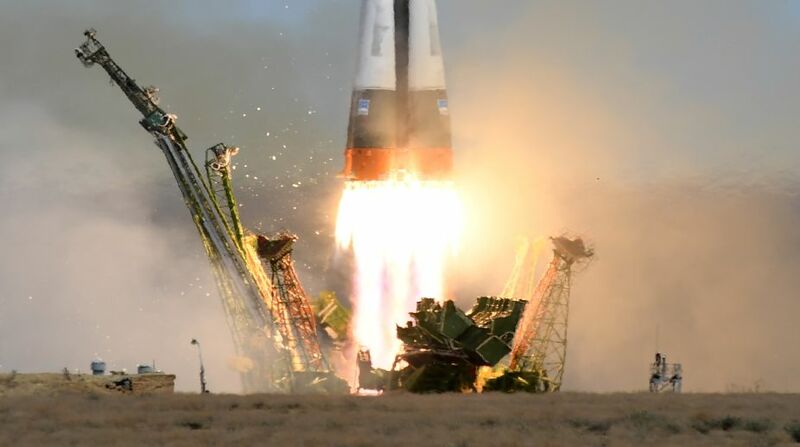 A Russian Soyuz spacecraft carrying two crew members for the International Space Station(ISS) blasted off on Thursday from a launch facility on Kazakhstan, NASA has said. The Soyuz MS-04 launched from the Baikonur Cosmodrome in Kazakhstan to the International Space Station at 3:13 a.m. EDT on Thursday (1:13 p.m. Baikonur time), the US space agency said in a statement. At the time of launch, the space station was cruising about 250 miles over northeast Kazakhstan near the southern Russian border. "NASA astronaut Jack Fischer and Fyodor Yurchikin of Roscosmos are now safely in orbit," the statement added. While it is Yurchikin's fifth mission to the space station, Fischer is on his first. The pair will travel on a fast-track, six-hour course to the space station and dock to the Poisk module. Two days after Yurchikhin and Fischer dock and join their Expedition 51 crewmates, the Orbital ATK Cygnus cargo craft will arrive to resupply the orbital laboratory. Cygnus will deliver experiments supporting research into cancer-fighting drugs, semiconductor crystal growth and atmospheric reentry conditions.